These four CICIAM Prizes were awarded for the first time at the Opening Ceremony of ICIAM 99 in Edinburgh in July. 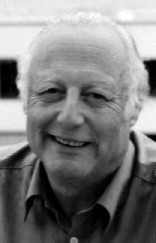 The CICIAM Prize Committee was chaired by Prof. Dr. Reinhard Mennicken, the then-current President of CICIAM. For each CICIAM Prize there was a subcommittee consisting of six members whose names were confidential up to the award ceremony. A series of outstanding nominations were submitted for each of these prizes so that the choice of the awardees was a rather difficult task for the CICIAM Prize Committee and its subcommittees. CICIAM is deeply indebted to the members of these committees for their excellent work. The CICIAM Lagrange Prize is awarded to Professor Jacques-Louis Lions (College de France and Academie des Sciences de Paris, France) in recognition of his exceptional contributions to applied and industrial mathematics throughout his career. Jacques-Louis Lions is one of the most distinguished and influential scientists in the domain of applied and industrial mathematics in this century. He has made outstanding contributions in many areas and has opened large classes of new problems and methods. To give only a few examples one should mention first the systematic use of functional analysis and weak solutions for solving elliptic and parabolic differential equations, both theoretically and numerically, further the various methods he developed for solving nonlinear problems and his profound studies on control problems for systems governed by partial differential equations, optimal control first and controllability later with the introduction of the now standard Hilbert Uniqueness Method. He made essential contributions to singular perturbations and, jointly with Alain Bensoussan and Georges Papanicolaou, developed the theory and methods of homogenization. In collaboration with Roger Temam and S.H. Wang he recently wrote major articles on mathematical models of climatology and meteorology about which he presented an invited lecture at ICIAM 95 in Hamburg. Those examples are taken from more than 500 articles and 20 books. His famous book on ``Quelques methodes de resolution des problemes aux limites nonlineaires'' is still a basic reference and a source of problems thirty years after it was published. A similar statement holds for the celebrated ``Lions-Magenes'' books. The more recently published ``Dautry-Lions'' book series on ``Mathematical analysis and numerical methods for science and technology'' which covers the development of modern mathematical methods, seen from the angle of applications, up to the designing of computer programmes, has become a fundamental reference for mathematicians, physicists and engineers. Jacques-Louis Lions has founded and developed an important school of applied mathematics in France with a strong influence in many other countries. He has participated in many industrial programmes, for example as President of the Institut de Recherche en Informatique et en Automatique, INRIA, and later of the Centre National d'Etudes Spatiales, CNES. He has been President of the International Mathematical Union, IMU, and President de l'Academie des Sciences de Paris. The CICIAM Collatz Prize for 1999 is awarded to Professor Stefan Müller(Max Planck Institut fur Mathematik in den Naturwissenschaften) as a scientist under 42 years of age in recognition of his outstanding early contributions to applied mathematics. Stefan Müller, born in 1962, studied mathematics and physics in Bonn, Edinburgh, and Paris. In 1994, at the age of 32 years, he became full professor at the University of Freiburg, Germany, and shortly later vice director of the famous Mathematical Research Center in the Black Forest. In 1995 he was appointed to a full professorship at the ETH Zürich in Switzerland. Since 1996 he is one of the three directors of the Max Planck Institute for Mathematics in the Sciences in Leipzig, Germany. The scientific work of Stefan Müller is distinguished by highly original and profound contributions to applied mathematics, calculus of variations and nonlinear partial differential equations, the mechanics of continua, and mathematical material sciences. In these fields he is one of the leading scientists in the world. His papers on the mechanics of continua cover a broad spectrum of topics, like homogenization in materials, cavitation in gummy materials, and completely new existence theorems in nonlinear elasticity concerning the geometry of microstructures. In nonlinear elasticity he proved new integrability properties of determinants with gradients as entries. This led to a breakthrough with respect to numerous problems characterized by critical growth properties. In joint work with Vladimir Sverak, he discovered that already for harmless looking variational problems with smooth, strictly convex Lagrangians, there exist highly irregular extremals that are Lipschitz-continuous, but not differentiable. In the last years, Stefan Müller made substantial and highly original contributions to the mathematical theory of microstructures. This concerns, for example, solid-state phase transitions in elastic crystals. Stefan Müller is one of very few young mathematicians in the world who combine high-quality mathematical skills with a feeling for real-world problems. This kind of scientific work should be promoted and is recognized by the CICIAM Collatz Prize. The CICIAM Pioneer Prize for 1999 was awarded to Professor Ronald R. Coifman (Yale University) and Professor Helmut Neunzert (Universität Kaiserslautern) for different kinds of significant contributions to applied mathematics. Ronald Coifman was being honored for his pioneering work in exploiting harmonic and, especially, wavelet analysis to provide new computational methods and algorithms in a wide variety of important contexts involving signal and image processing. This research, which has been conducted over the last twenty years in collaboration with Yves Meyer of Paris, former colleagues Gregory Belykin and Vladimir Rokhlin at Yale, and other prominent mathematicians, relies on the classical theories of Calderon and Zygmund and the use of function spaces and singular integral operators. Applications have included FBI data files for fingerprints and many other problems involving compression and/or restoration of images and sound. Professor Neunzert is being honored for his work over the last twenty years in developing the ``techno-mathematics'' both as a scientific discipline and as a curriculum, now offered in more than twenty-five universities, and for his work in developing the specifications of industrial mathematics through active consulting and modeling, in playing a leading role in the European Consortium for Mathematics in Industry, and in founding and directing the Fraunhofer Institute for Techno- and Econo-mathematics at Kaiserslautern. Many, but by far not all of his collaborations with industry were in his own scientific field of the kinetic theory of gases and the Boltzmann equation. The vigorous and expanding international activity involving the mathematical modeling of industrial problems owes much to Professor Neunzert's inspiration, energy, and example. It promises many new opportunities to use mathematics. The CICIAM Maxwell Prize for 1999 was awarded to Professor Grigory Isaakovic Barenblatt (University of California at Berkeley and Cambridge University) in recognition of his outstanding originality in his work in applied mathematics. Grigory Barenblatt is one of the most distinguished Russian applied mathematicians. He is well-known for his numerous contributions to the mathematical theory of fluid motion, solid structure, nonlinear waves, scaling and asymptotics. His two dominant interests are the clear understanding of the mathematical underpinnings of various methods of applied mathematics and physics, and the analysis of problems dominated by complexity, such as turbulence, failure and cracks in solids, flow in porous and inhomogeneous media, and combustion. Grigory Barenblatt has constructed a deep relation between nonlinear waves and general scaling arguments, and related the occurrence of anomalous exponents to the occurrence of waves whose speed depends on their internal structure. His methods of intermediate asymptotics make it possible to draw concrete conclusions in situations where the scaling is anomalous. Among the many applications of this deep and amazing theory are the scaling of turbulence, the analysis of failure in solids, the dynamics of reservoirs and the analysis of stratification in geophysical fluid mechanics. His recent work on scaling in turbulence is of enormous significance. The Barenblatt model of crack formation and the "Barenblatt zone'' are among the most basic ideas in the theory of cracks; the Barenblatt correlations are the basic tools in the analysis of failure, especially failure due to fatigue. His theory of particulate transport in turbulence is the cornerstone of this subject. His work on flow in porous media is of the same high significance. The range of Barenblatt's achievements is truly breathtaking. Though all of his work is extremely original, the development of the theory of incomplete similarity, in particular its unexpected applications in fluid mechanics as well as its relation with renormalization, is probably the most original aspect of this work; the most original part of an original corpus.